CUPERTINO: Apple Inc introduced its largest-ever iPhone and a watch that detects heart problems in an attempt to get customers to upgrade to more expensive devices in the face of stagnant global demand for smartphones. 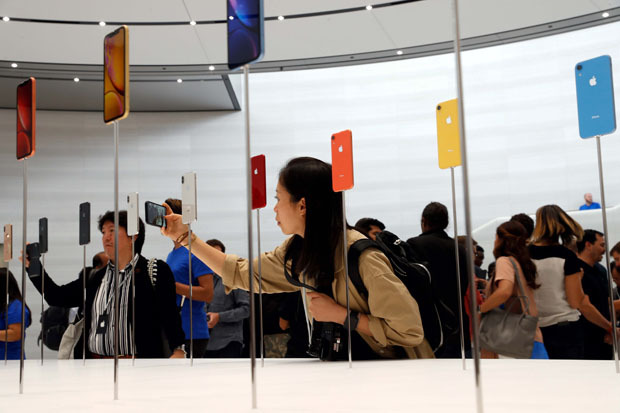 The relatively small changes to its lineup, following last year’s overhauled iPhone X, were widely expected by investors and the company’s shares ended down 1.2 per cent at US$221.07. The strategy has been successful, helping Apple’s stock to rise more than 30 per cent this year and making it the first publicly traded US company to hit a market value of more than US$1 trillion. Apple’s new iPhone XS, pronounced ‘ten S,’ has a 5.8-inch (14.7-cm) screen, and will be sold at a starting price of US$999. The XS Max, the largest iPhone to date and one of the biggest on the market, has a 6.5-inch (16.5-cm) screen, and will start selling at US$1,099. With two of them starting at US$999 or higher in the United States, Apple appears to be taking advantage of a strong US economy, low unemployment, and rising household wealth. That number is expected to double by 2050 as the population gets older, according to the American Heart Association. TV, as some industry analysts had expected.